Choosing a gutter installer can be as easy as picking a name from the phonebook—if price is all that matters to you. But if you also want a solution that will last as long as you own your house, then quality also counts. And that’s where choosing a gutter installer requires some care, and some homework, on your part.Selecting a gutter installer is complicated by the fact that anyone can enter the business. Somebody laid off from the local factory can use a credit card to purchase a used gutter machine for about $2,000 and can then call themselves a gutter installer. 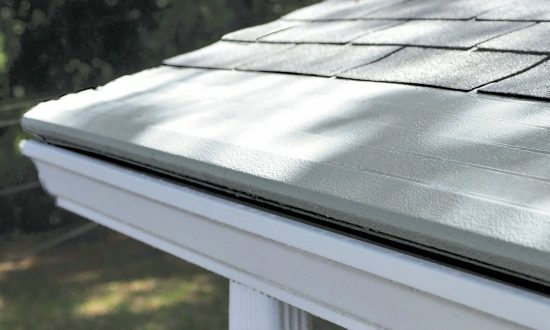 By far, the biggest challenge faced by legitimate gutter installers is the legions of marginal operators who offer unrealistic low-ball prices. When you call general contractors about building a home or an addition, you can ask to see their contractor licenses. When you contact architects, you can make sure they are certified by the American Institute of Architects. If you want a list of reputable roofers, you can check the online directory of the National Roofing Contractors Association and read the standards that members are expected to meet. But no contractor license or professional certification is required to be a gutter installer. There is currently no nonprofit trade association for gutter installers and no published industry standards on what constitutes acceptable workmanship. So how do you choose a gutter installer? Of course, you should do all of the “usual” things: get multiple estimates, ask how long each company has been in business, obtain references and then check them out, see if the gutter installers belong to the local chamber of commerce or Better Business Bureau. But you already knew that, right? The next step, then, is to ask yourself some questions—starting with, “What type of gutter installation work do I want done?” Do you want to replace your existing gutters? Are you looking for gutter protection? Or are you building a custom home and want gutters with good looks as well as good performance?